I love quick sewing projects! 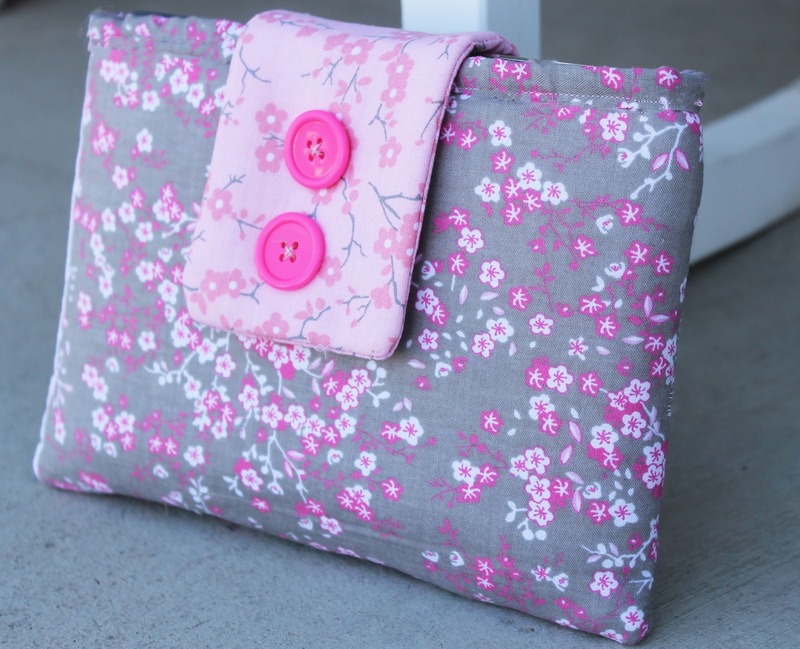 Here is a 30 minute tablet sleeve I made for my Ipad Mini. Its a simple cushioned case with a Velcro strap closure. I am not exaggerating when I say 30 minutes. Taking the pictures took way more time than the actual project. You really don’t need a pattern for this design. 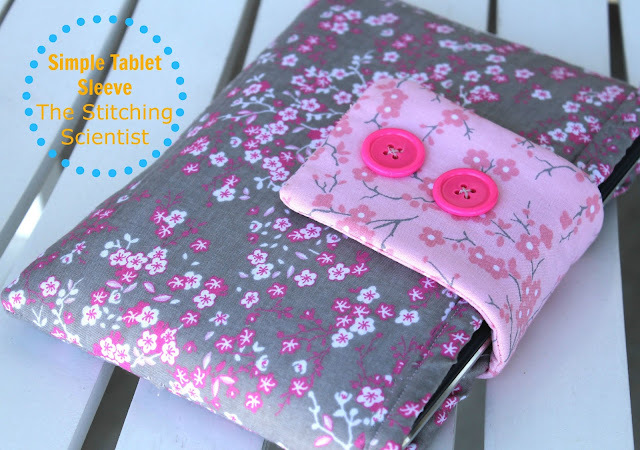 You simply measure your tablet and add 3 inches to the length and 2 inches to the width. For the strap you can do a 3″ width x length of tablet measurement. Cut out all your fabric pieces. Iron on interfacing to the wrong side of each of the outer fabric. Sew on batting to the wrong side of the lining pieces. Iron on interfacing to one of the strap pieces. Picture shows fabric with interfacing and batting attached. Take your lining piece and fit it into the main fabric piece wrong sides together. Make your binding by taking your strip and fold it inwards on both sides. 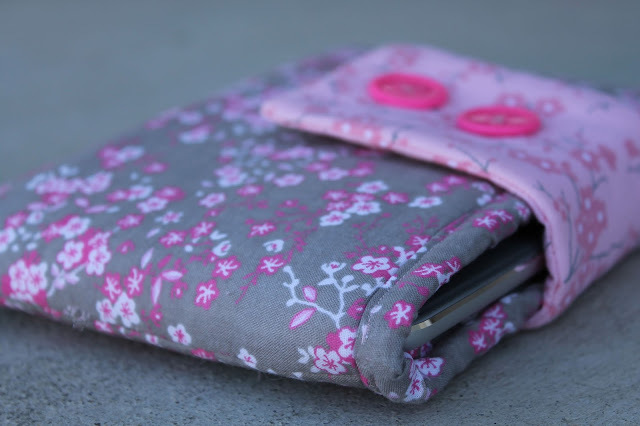 Sew your binding all the way around the top of both your outer and lining pieces. Simply fold it around the top and sew it close. Sew the two pieces of your strap together right sides facing together. Turn it inside out, fold in the ends and top stitch the opening close. Sew on your strap to the middle of the back of the case. Attach a Velcro closure to the front strap and sew on decorative buttons.